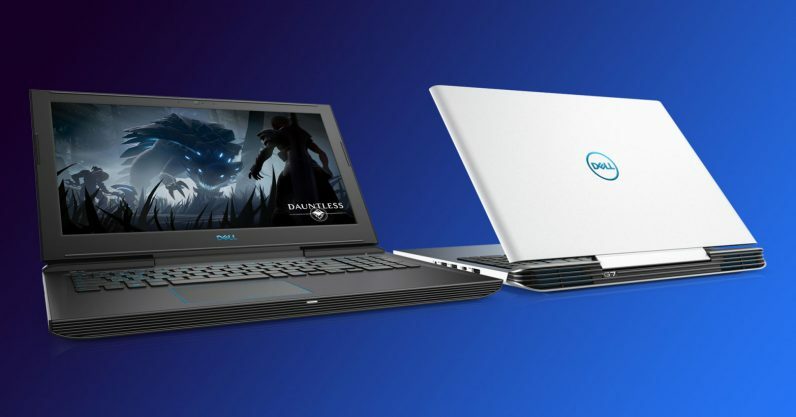 There are two types of laptop gamers: those who are willing to pay a premium for design and features, and those who simply want the cheapest laptops that can run modern games. Dell has long had its Alienware series for the former crowd, but today it’s launching a new ‘G Series’ for the latter. There are three new laptop lines within the G series: the G3, G5, and G7. As you might expect, those numbers are listed in order of power. They can be configured with Intel’s 8th Gen chips, with the G5 and G7 capable of using the new, six-core i9 processors. The G3 comes in both 15 and 17 inch flavors, while the G5 and G7 only come with 15-inch screens. Graphics-wise, the laptops can run anything from a GTX 1050 up to a 1060 Max-Q. It would’ve been nice to see a 1070 or even a 1080 option, but Dell seems intent on making sure you know Alienware still makes more powerful laptops. The laptops come with a 1080p panel by default, but the G5 and G7 can be fitted with an IPS 4K panel as well. Dell announced several other new products today too, including an 8th Gen XPS 15 in an all-black trim. You can read more about these here.